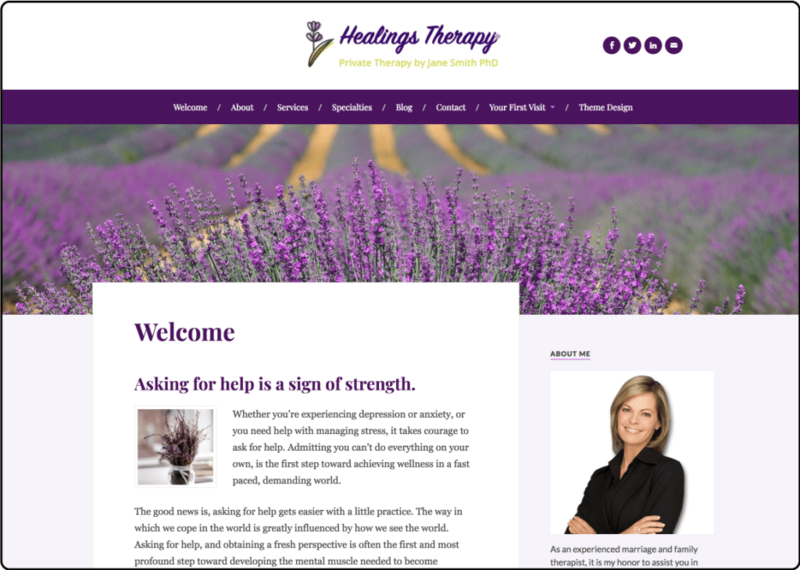 TherapyTribe: top ranking directory since 2008, now offers websites tailored for therapists. 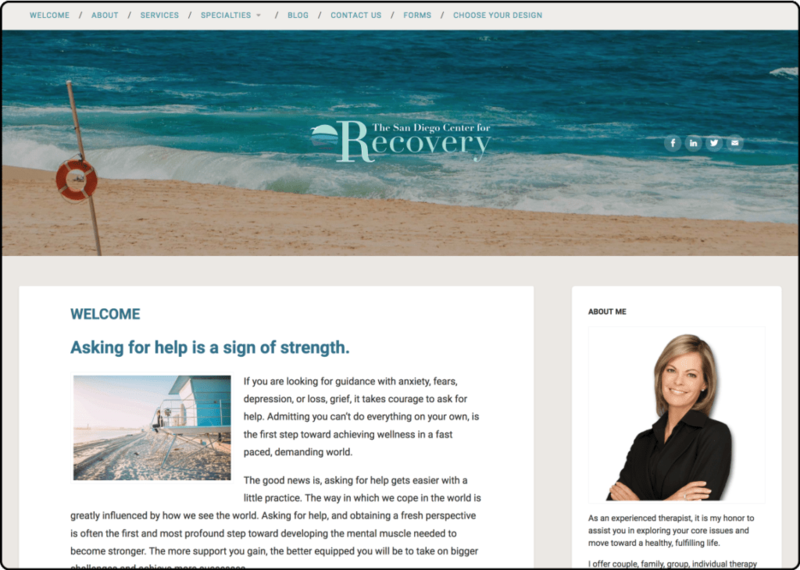 Websites beautifully designed, and ready to go. Customize your website as much or as little as you want! It’s easy and fun! CLICK TO VIEW LIVE DEMO OF EACH THEME. Our websites are not just free; they’re better. 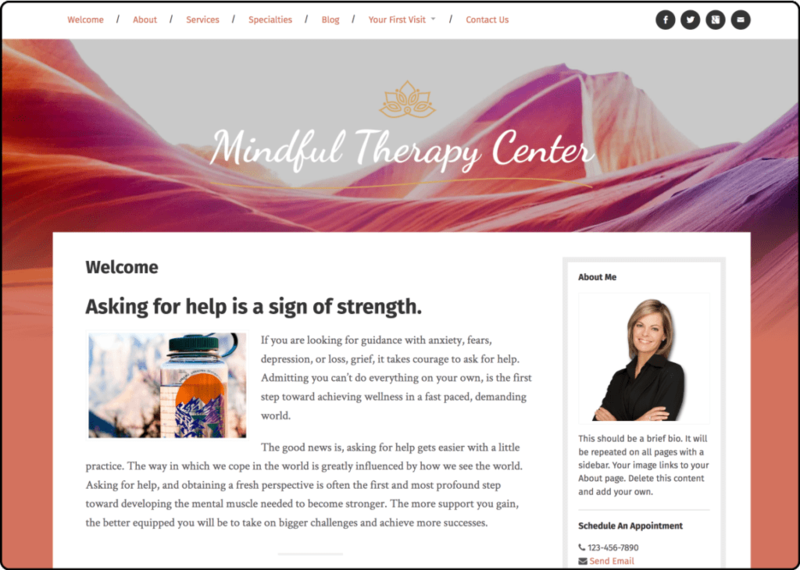 Six stunning SEO-friendly website theme layouts. Responsive designs for ideal display on all devices. Content auto-generated based on members listing details. Show off your expertise: add a blog or video. The world’s most popular & user-friendly platform: WordPress. Option to translate website to over 300 languages. Dozens of design schemes OR create a fully customized look. Step-by-step instructions to get you published fast. 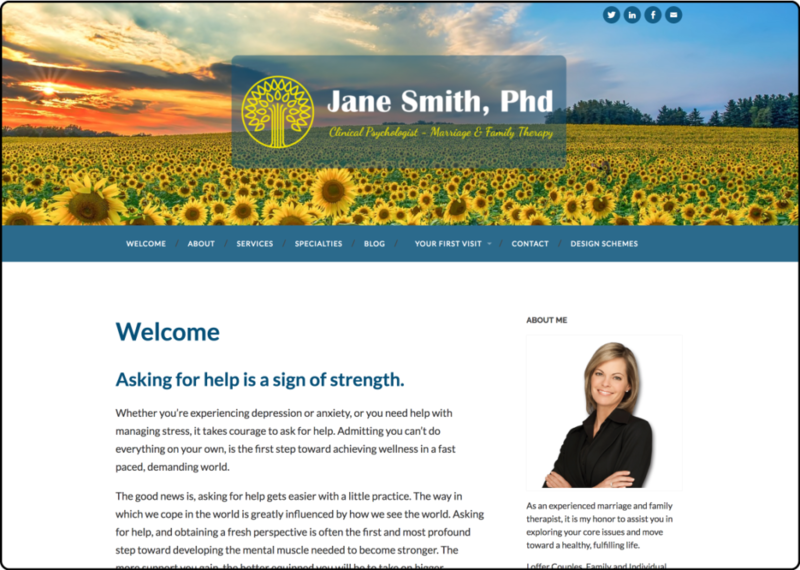 #1 Sign up for our top ranking therapist directory. #2 Get your free website. 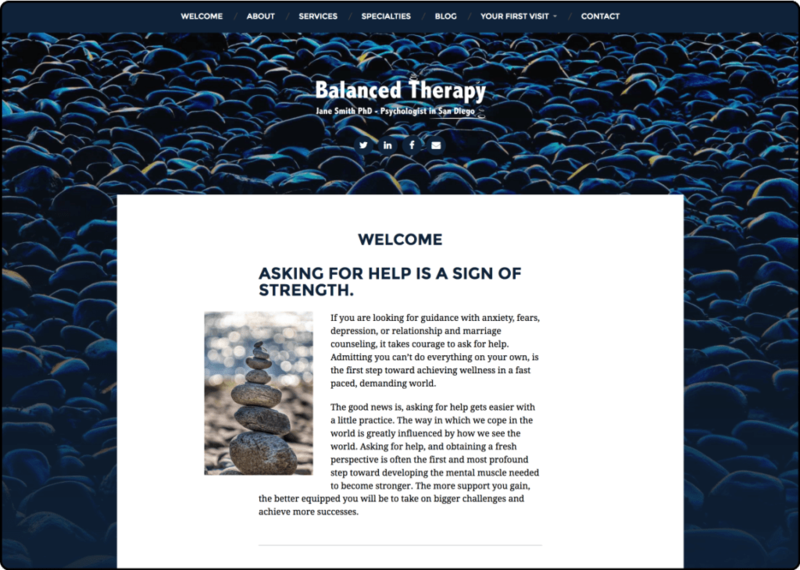 TherapyTribe offers free websites and hosting to its professional members. Based on their listing details, members can generate a website with the click of a button in their member account section. Then the fun begins – members can choose what they like from the content provided and preset design options, OR fully customize their website to suit their own professional style. Plus, we have designers on staff to help you achieve your goals. Stop paying $59 a month! Transferring an existing website is as easy as using Microsoft Word. We provide step by step instructions on how to get setup fast and transfer your website domain name. Don’t have time? Hire us! For just $99 we’ll do all the work for you. Or team of designers can transfer your content from an existing website or create a new one based on a simple questionnaire. 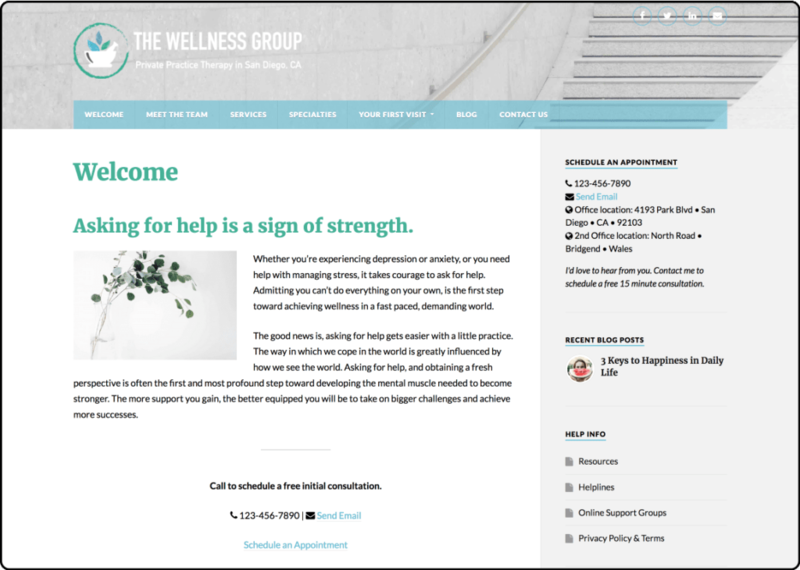 Included in this service is custom imagery and logo design, marketing advice and a review of your website for best-practices in search engine optimization. Once upon a time we noticed many of our members were paying too much for outdated websites. We decided to fix that. We went to work and created better looking, better optimized websites, for no cost to our members. Questions? Review our FAQ’s. Or, send us an email and we’ll get right back to you.